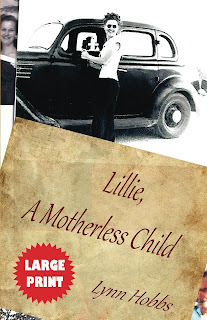 Lillie, A Motherless Child is now available on Amazon.com. Click the title to go directly and view a free sample from Kindle! It is available in a Large Print Paperback or a handy on the go Digital Download for your Kindle device. I know many of you have been patiently waiting on this publication, and I appreciate all the encouragement in helping me to tell this story of my mom. For those of you who are not familiar with my latest project, it is the true life story of my mother, Lillie Fritsche. One of sixteen siblings, born in the depression era. Lillie's mother passed away when she was seven years old. Follow her journey from a motherless child to an inspiring woman of faith. Book includes treasured family photos, and some of her favorite, handed-down German recipes. I hope you will enjoy this glimpse of her life narrowed down to 430 pages. Hey! Just found out about your latest - way to go! I spread the news on our group's Facebook page.